Wyndham Vacation Rentals: ResortQuest® by Wyndham Vacation Rentals Offers Lodging Discounts during River Run Village Festivals in Keystone, Colo.
ResortQuest® by Wyndham Vacation Rentals Offers Lodging Discounts during River Run Village Festivals in Keystone, Colo.
River Run Village, a quaint, European-style village at the heart of the Keystone Resort ski area base, will welcome a number of entertaining events this summer. The lineup of both classy and quirky festivals includes the Blue Ribbon Bacon Tour, Keystone Wine & Jazz Festival, and the 15th annual Bluegrass and Beer Festival. ResortQuest® by Wyndham Vacation Rentals is offering up to 33% off on-site festival accommodations at River Run Village's popular properties such as Expedition Station and Silver Mill. Guests can save 20% off a 2-night stay or 33% off 3 or more nights when reservations are booked by June 21, 2011. When the Blue Ribbon Bacon Tour stops in Keystone, it will be the event's first-ever appearance in Colo. A $30 Big Bacon Ticket allows unlimited bacon tasting throughout the weekend. The schedule of events includes a dog parade, a KidZone, All About Bacon lecture, and live music from Devon Allman's Honeytribe, Yo Momma's Big Fat Booty Band, and Reckless Kelly. The Blue Ribbon Bacon Tour will kick off on Friday, June 24 through Sunday, June 26 at the River Run base area at Keystone Resort. Taking place Saturday, July 9 and Sunday, July 10, the Wine & Jazz Festival will offer festival visitors a number of wine seminars and tastings featuring more than 300 wines from festival partner Republic National Distributing Co. Jazz artists scheduled to entertain include the Max Wagner Quartet, Will Donato, Dotsero, The Side Guys, and Big Sam's Funky Nation. A KidZone also will be available each afternoon. Early August sees the return of the Bluegrass and Beer Festival, set for Saturday, August 6 and Sunday, August 7. This 15th annual event features microbrews from more than 15 breweries at the beer garden, instructional seminars, food vendors, a KidZone, and live music on three stages. Bands scheduled to appear include the Peter Rowan Bluegrass Band, Shannon Whitworth, Steel Pennies, Honey Don't, Loose Cannon, The Honeycutters, and The Farewell Drifters. All three events are presented in part by the Keystone Neighbourhood Company (KNC). 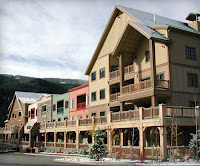 To take advantage of ResortQuest's Keystone Festival lodging discount, guests should call 1-800-661-7607 and mention "Summer Web Deal," or book online to automatically get these discounted rates. These special rates are valid for stays now through Thursday, November 10 but must be booked by Tuesday, June 21. Availability is limited. More details, including terms and conditions, are available online.